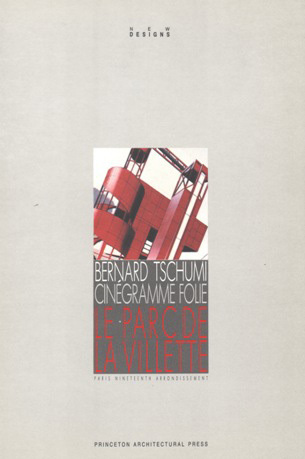 In this book on Parc de la Villette, published one year after the first phase of construction was completed, narration and demonstration are blurred. The model of one architect, one project, and one book aims to permit a thorough understanding of the thought behind the design of architectural spaces. Because both the narration and design of the book are conceived of by the architect, the goal is to incorporate the medium of the book into the architecture of the project described.